Already at a very affordable $8.00 USD, I think I purchased Little Racers STREET for only a couple of bucks while it was on sale. So obviously the price was a factor when I purchased this game but there was another reason. Not since the late 80s - early 90s have I played a played an isometric racing game like Ivan "Ironman" Stewart's Super Off Road (now there's a mouthful) and there's something about it that I love. Maybe it's the simplicity of the gameplay or the fact using a keyboard to play the game doesn't put you at a disadvantage. 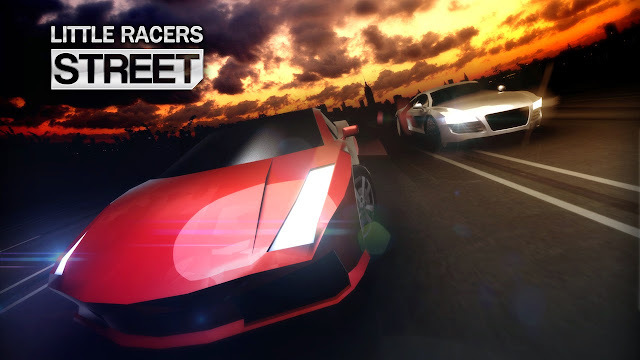 Little Racers STREET is a pretty simple game. Its an isometric racing game where you simply use the keyboard (not sure about other devices since I just used keyboard) to navigate your car around the track. Up is the accelerator, Down is brake and spacebar is nitro - and that's all you need to know to play! Oh "H" is horn but I don't think it has much use. 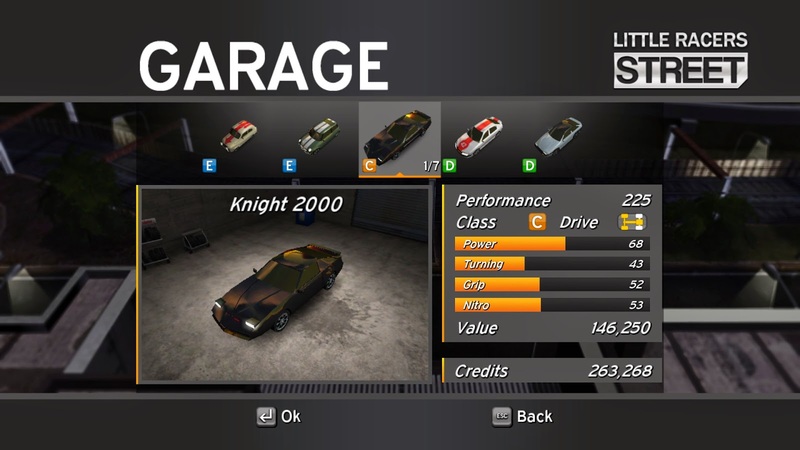 As you can see, the game is a really basic arcade racer but I love the fact you can get by just fine with a keyboard. Races are usually pretty short too so this coupled with the fact you don't need any extra equipment makes it an ideal game to play when you have a short break on your hands. So overall the gameplay is pretty solid and there are approximately 200 races to choose from based on 60 different tracks. 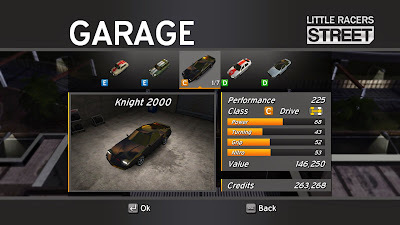 There are also weather effects to dice things up a bit and you've got over 40 cars to pick from all in different classes from A-E, all with different performance statistics that can be upgraded with cash. The only thing I can fault with the gameplay is ironically what also makes the game great: its simplicity. Also you'll be racing on one of two maps each time, so it can start to become quite monotonous, especially considering some achievements require a lot of grinding. The game lacks longevity if you don't take full advantage of multiplayer, but more on that later. The game only consists of basic car engine and horn noises, but they do the job. How high could you expectations be from an arcade racer? Especially one without any licensed vehicles. There's only a few tracks used in the game but they fit the mood perfectly. The game consists of some basic 3D graphics, i.e. low polygon counts, but just like the game's audio, they do the job. One thing in particular that I like (even though this is common in racing games) is the ability to customise the decals and paint jobs on your cars which adds a bit of variety, and is a bit more than I expected from an arcade racer. David Hasselhoff, eat your heart out. The game is reasonably fun. Simple to learn but difficult to master (which is what all good games should be IMHO). Unfortunately, it's replay score could've been much better if there was a larger online cohort. Every time I tried to play during Australian hours there was nobody online and there's only so much grinding of achievements you'll be able to take before things start to get boring. If you had a whole bunch of friends playing this on the other hand, I could imagine it being heaps of fun, and definitely receiving more replays. The game is pretty well polished and I didn't encounter any serious bugs - but you'd expect that from such a simple game. What you see is what you get. 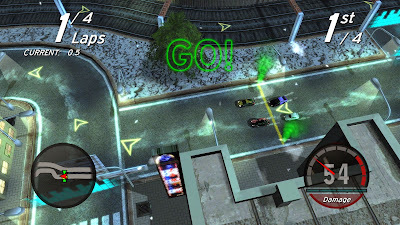 Little Racers STREET is an unpretentious isometric arcade racer that can be heaps of fun if you can find some people to play it with; grinding achievements in single-player or even completing daily challenges will eventually become rather dull meaning the game's longevity is heavily dependent on satisfying multiplayer gameplay. If you want to get the game, you can get it on Steam or directly from their website.